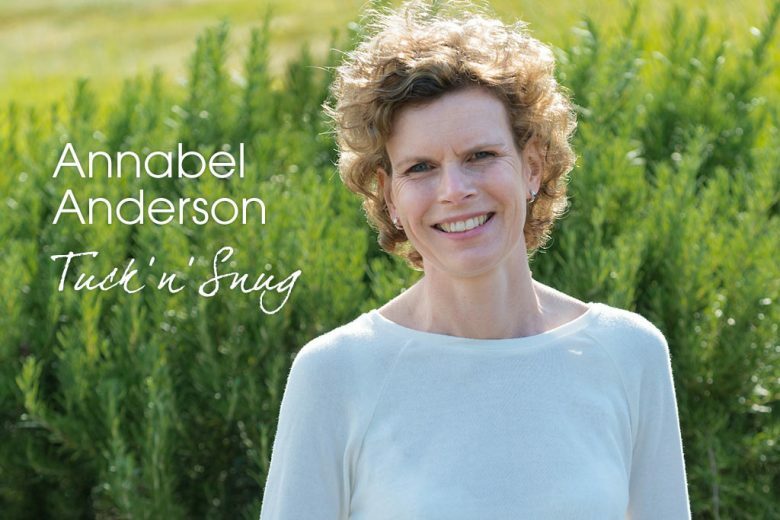 Read how former PR professional Annabel Anderson turned her despair of ever getting a good night’s sleep after having children into a brilliant new sleep product – the Tuck n’ Snug! My background is in corporate public relations – I worked in a couple of London PR agencies and then took on various communications roles while living in Dubai and New Zealand. I took a career break to have my children, who have just turned five and seven. I always thought I would go back to work when they reached school age, but the problem was working out what to do. The industry had moved on and while the fundamentals of the job remained the same, I couldn’t quite believe employers (within the industry) would look favourably at a mum who wasn’t in until 9.30am and had to dash off to do the school run at 3.30pm. Plus, I was now living in West Sussex, not exactly a PR hub. The chances of returning to work in an industry I loved didn’t look that positive. What inspired you to launch Tuck n’ Snug? The product came about because of pure necessity. I was absolutely exhausted and sleep-deprived from looking after my two children, who were going for gold in terms of waking during the night. I had clocked up over 1,000 nights of broken sleep and was barely functioning. The kids were waking and crying out because their bedding had fallen on the floor and they were cold. When they couldn’t find it, I was summoned. I tried lots of ways of fixing the problem because I was craving a good night’s sleep, but nothing was successful. It was during the small hours of one night, when I was trying to coax my youngest back to sleep, that I came up with the idea of Tuck n’ Snug. How does Tuck n’ Snug work? Tuck n’ Snug is a new concept – it’s a duvet cover and pillow case that has fabric flaps attached. These are tucked under the mattress to keep the bedding in place, without restricting the child. The duvet cover conceals all the flaps, so it looks like any other bedding set. There are no zips, buttons or Velcro and the child is free to get in and out of bed if they want to, while feeling warm and snuggly. It’s a simple solution to sleepless nights for many families. How did you go from the ‘aha!’ moment to actually creating a product? I sketched the design, had prototypes made and put them on the kids’ beds. When I realised that it worked and I wasn’t getting the “Mummy!” call at 3am, I knew I was onto something. Firstly, I caught up on some sleep! Then all I could think about was creating the product and the brand. It became my passion, but I think you need that drive. I did a lot of research, made sure all the legal formalities were in place and when the brand was taking shape, I sent sample products out for review to make sure the feedback was positive. I networked and talked to a huge amount of people, and from that I built a really great team who have helped to launch Tuck n’ Snug. What’s been the reception to it so far? We’ve just launched, but already the feedback has been great. The brand is gaining an awareness even in these early days. It will take time to establish Tuck n’ Snug, but we’re in it for the long haul and determined to do our very best. What’s been the biggest business hurdle you’ve had to overcome? Entering new industries of which I’ve had no knowledge. Manufacturing and retail are two tough sectors and it’s been a steep learning curve, understanding how they function. Not only is Tuck n’ Snug a new concept and brand, I’m also a new face so it’s taken time to build credibility and gain trust. And your proudest moment to date? There have been quite a few milestones that I’ve felt excited to reach. An important one was getting encouragement from Deborah Meaden, of Dragons’ Den, which gave me confidence moving forward. What skills from your career have helped with your business? Undoubtedly my communication skills have been useful, but I think life skills have been just as important. It’s all about your approach to a challenge – showing determination, tenacity and patience can make a difference. Where would you like to see Tuck n’ Snug in five years’ time? The vision is for Tuck n’ Snug to become a household name in children’s bedding. On a personal level, I would gain huge satisfaction from knowing that the product had helped many families get a better night’s sleep. How do you balance your business and family? I’m sure I could take tips from others but we’re doing just fine at the moment. There is no strategy or plan; we just continue to muddle through like lots of other working families. The only difference is that I’m doing a lot more late night working! Luckily, I can do this safe in the knowledge that I won’t be woken up to hunt for duvets and pillows on the floor later on. What tips do you have for other mums who come up with brilliant product ideas? Go for it and don’t give up. Listen to what people have to say and take advice, but above all surround yourself with brilliant people (you can’t do it all) and what you’ve thought was good will become amazing! Oh, and lastly, enjoy it. Remember the positives of why you took the challenge on, even in the tough times. You can find more information about Tuck n’ Snug on their website.